Multi-channel campaigns provide maximum impact for marketers. Depending on the segment, there are different methods for measuring success. An integrated approach typically generates optimal results. B&W printing is used for specific applications. Dedicated commercial printers may consider a B&W press integral to the business based on services offered. In plants are among those that find an advantage with B&W production. Much has evolved within the photo printing market in the past decade. Themed Integrate, Graph Expo 14 took place from September 28 to October 1, 2014 at McCormick Place in Chicago, IL. To keep up with customer demands, marketing service providers must stay on top of the latest trends and technology. The book publishing industry has dramatically evolved over the past few years. bluemedia’s commitment to color is supported by its software. 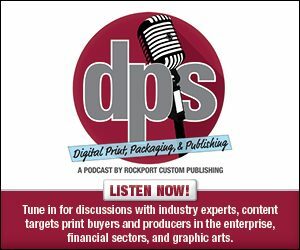 High-speed inkjet technologies represent an important element in the overall print space. Print buyers look for a range of applications, from variable and static direct mail—in varying runs—to design and poster work. Workflow is essential to digital print environments. Graph Expo wrapped up on October 1, 2014, presenting the industry with a lot to consider.